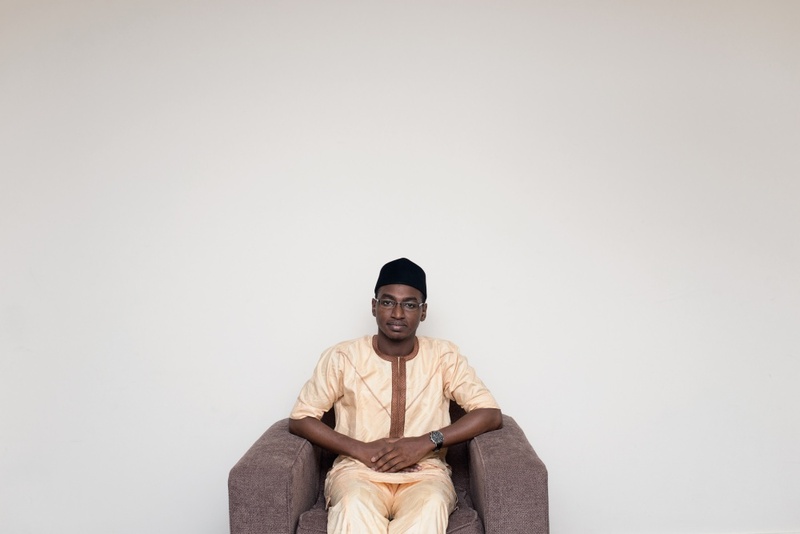 Mohammed from Yobe State in Northern Nigeria, posing in his flat in Aberdeen, where he is living and doing his PhD in chemistry at the moment. While talking about Scotland, his experiences of living in Malaya, politics and religion he quote this sentence from Quran which I really like: "(Show) kindness unto parents, and unto near kindred, and orphans, and the needy, and unto the neighbour who is of kin (unto you) and the neighbour who is not of kin (…)"
Tom Breheny in his home in Edinburgh. "My great-great-grandfather, Hersz Mordchajeicz-Einbaum, was born in Lodz in 1820. My Polish /Jewish grandparents Isaac and Sarah were also born in Lodz. They left Poland round about 1904 and settled near Liverpool in England. When the 2nd World War broke out my Jewish relatives who had remained in Poland were murdered by the Nazis in Auschwitz. I was born in Manchester in 1949 but I have lived in Edinburgh whole my adult life and now consider myself more Scottish than English. My Lancashire accent disappeared many years ago. My grandparents are Polish, Irish and Welsh and my wife and children are Scots. My loyalty will always be to Scotland. This is where my heart is. I like the people and the country. Sikh communities in Scotland have a long history, which is going back to the XIX century when first Sikh families arrived here from India. Scottish Sikhs have their own tartan and can be seen wearing kilts made it from this material on special occasions. This portrait shows a family, which represent a more recent arrival of Sikh community members to Scotland. Gurinder and his wife Harpreet came to Scotland from New Delhi where their son Brahmjot was born as well. Their youngest baby, daughter Siaana was born in Edinburgh and I was also lucky to met Gurinder’s mother Balbir who comes to Scotland every few months to visit and help her son and his wife with raising the family. All of them are very attached to their religion which playing an important role in holding a community together but this doesn’t stop them from adapting some local customs like a Christmas tree for example. We were chatting over a Indian chai and Bombay mix and by the end of the day I was showed around Sikh temple in Edinburgh. Uliana from Sankt-Petersburg in Russia, her husband Adam from Bialystok in Poland and their kids Arsen and Lija. I photographed them in Aberdeen where they are living and working for about 6 years now. Adam is a lifeguard and Uliana is decorating private houses and offices across Aberdeenshire with a custom murals. They all speaking fluent Russian and Polish at home and English at work and school. It is worth of mentioning that Uliana had a Jewish grandfather and Adam ancestors were from Roma community. Lita,Laura and Jide. I know Jide from the college where I asked him to pose for me for an advertising photography assignment: you can see the result on the shelf above them! 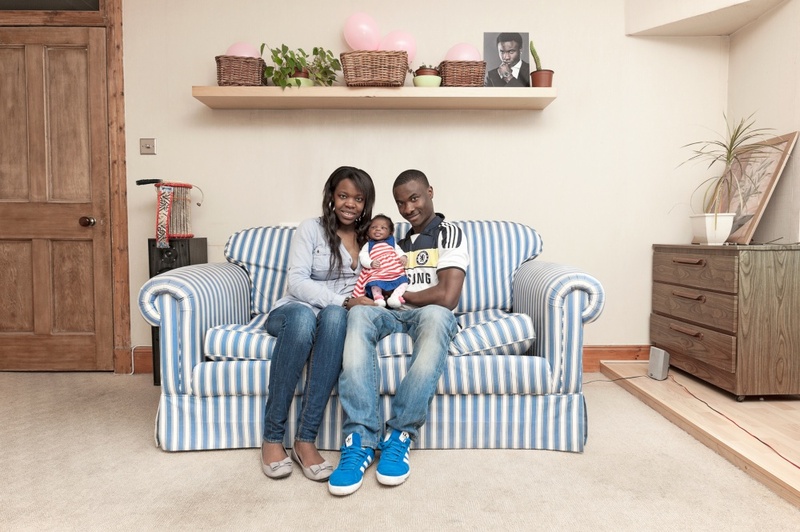 Jide is from Nigeria and he met Lita, his partner and future wife in Edinburgh. Their little daughter Laura was born just two weeks before I took this portrait. Lita comes from one of the island of Cape Verde at the west coast of Africa and speaks Portuguese and English. Jide brought a “Talking Drum” to Scotland with him. This instrument, which you can see on the left seating on the speaker, was used to send detailed messages between villages in some regions of West Africa many years ago and now it becomes a part of popular music in this region of the world. Magda,Nicola and Cat. 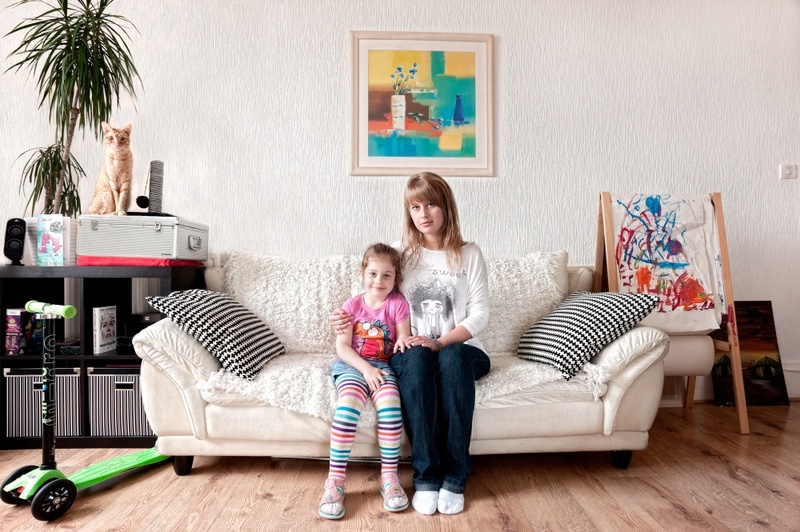 Magda is from Poland and she is raising her daughter Nicola in Edinburgh. 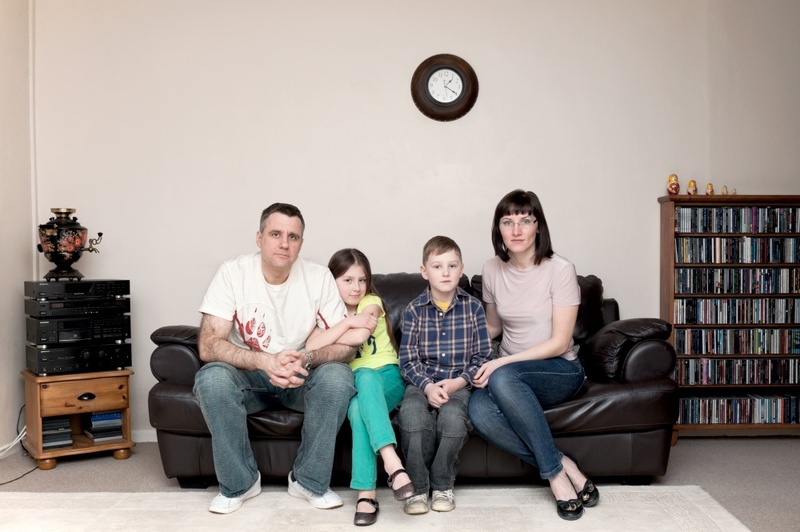 Nicola was born in Scotland but her father moved back to Poland. Ailie was born in Edinburgh and is currently finishing her final year of study for microbiology degree. Science and Biology are her main interest but in a free time she loves to read a comics and to play on her X-Box. Her Mum is Glaswegian and Dad is English so I asked her if she feels British or Scottish? She answered: ” First Scottish then British ” but actually let Ailie speak by herself "I’m a local from Edinburgh, and I get a bit passionate about my city - although I can’t wait to leave when I’ve finished my undergraduate degree. I am a bit of a big kid; I get very attached to my games, my cartoons, and my Transformers toys! The walls aren’t as plastered with posters as they used to be, I don’t really fancy having a “student-y” student flat if you know what I mean. Science fiction is definitely my thing, especially retro-futuristic titles like Fallout or Bioshock, or ridiculous films like The Fifth Element because things like that often have a dark, tongue-in-cheek sort of humour; I can’t abide by anything too serious, especially if there are laser guns involved. I’ve always ticked “Scottish” on forms because that’s what I always thought of myself as being, and that’s what I’ve always been told I was. In fact, no one outside of the UK has ever called me “British”, and as a kid I got a distinct non-British feeling. All the television channels were planned to the English school dates, I didn’t recognise any of the British landmarks (I didn’t see London until I was seventeen), and no one “British” talked like me. However my father is English, and in primary school I got a bit of nastiness for it from other kids, though that usually subsided when I explained that my father is from Yorkshire which is far enough from London for most people to let me off the hook! Still, for all the anti-Englishness I was exposed to, my first long-term relationship was with a Londoner. But I have the accent, so I’m the one ordering at the bar to avoid any cheeky remarks from the barman…"
Maolin Liao and Lin Sun. 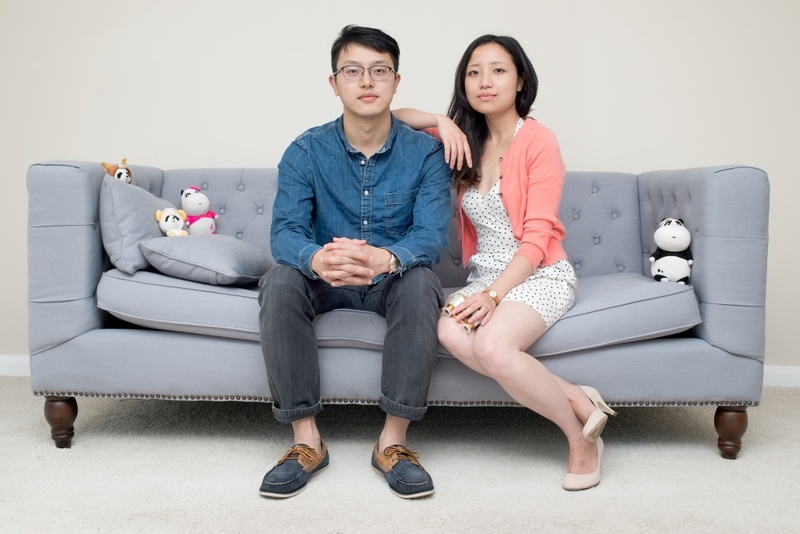 They came to Scotland from Langzhong, Sichuan in China to study. I photographed them in their flat in Aberdeen. 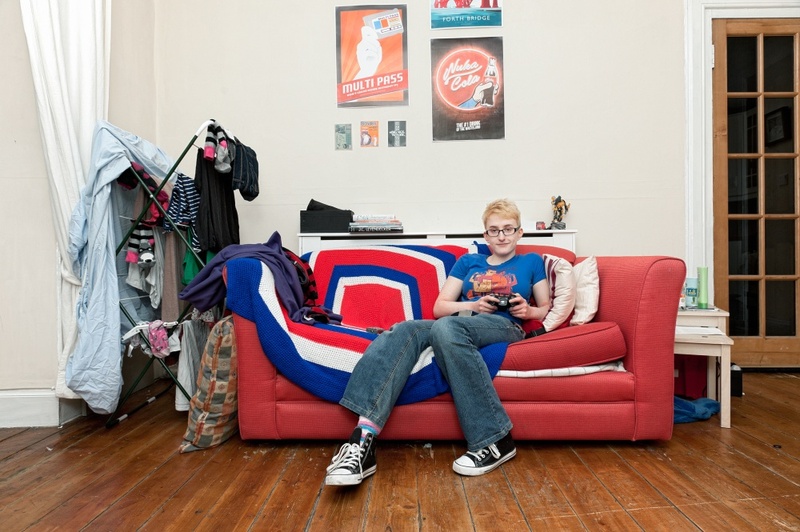 Andrea - Designer from Colombia photographed in her flat in Edinburgh. Couple Liina and Jakub. Liina is from Finland and Jakub from Poland. I photographed them in Edinburgh where they are working and living. Blazej is a Dj from Poland. He is living and working in Edinburgh for last few years. 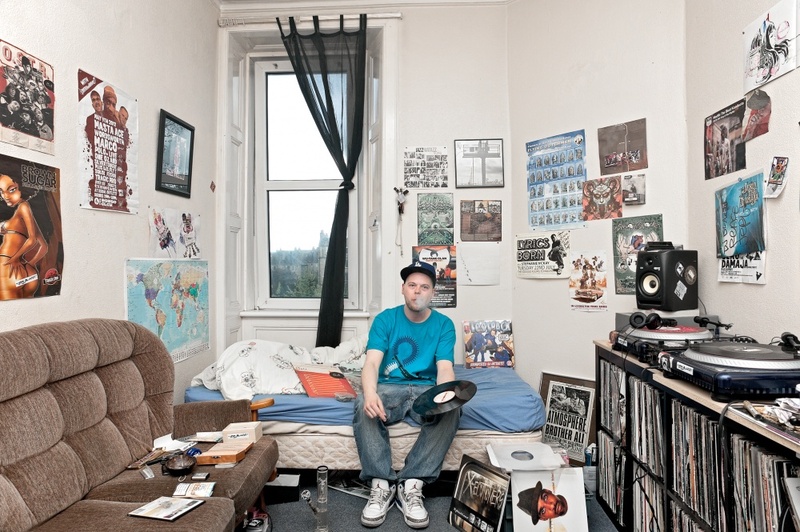 I photographed him in his rented room, full of records and smoke. He came to Scotland after Poland joined the EU. 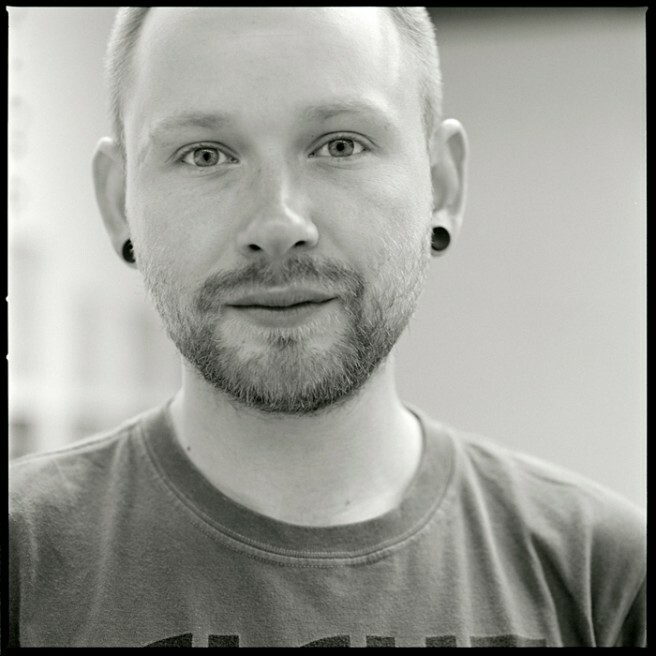 In my ongoing long-term project "The Neighbours" I am using a medium of photography to create a portrait of contemporary and multicultural Scottish society. In today's well connected world anyone regardless the nationality, cultural or religious background can be our neighbour. Historical and modern factors had big influence on how our societies look today. I believe that it is important to have a record of the current processes and also to remember about the past events, which shaped our world. Considering current political climate, when benefits of the diverse society are being slowly disregarded I believe that it is important to remind ourselves about the importance of the cultural mosaic we are living in. Reasons for migrations are different and vary from political ones, economical to those driven by a curiosity. My goal is to show this variety by meeting and photographing people, who moved from their countries of birth and settled down in Scotland. 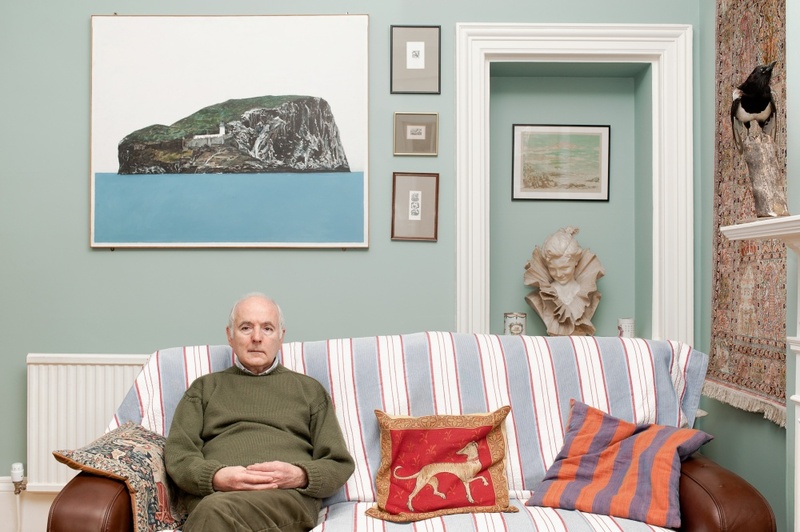 By photographing and interviewing my sitters in their private environment I am trying to show a part of their life and to encourage the viewers to draw their own conclusions. To highlight that migration, and multicultural societies are not a new occurrence I am researching on communities and individuals, who came to Scotland many years ago. Polish soldiers who stayed here after the Second World War or Jewish families, which settled down in Scotland in nineteen century could be used as a good example. My research proves that these examples are just a part of a much wider and interesting multicultural story of this Northern European nation. We can't forget about Scotland's historical and contemporary links with Asian, African and Commonwealth countries. The last ten years brought many changes to the Scottish society; many people from new EU countries settled down here what resulted in Scotland being even more diverse and multicultural. 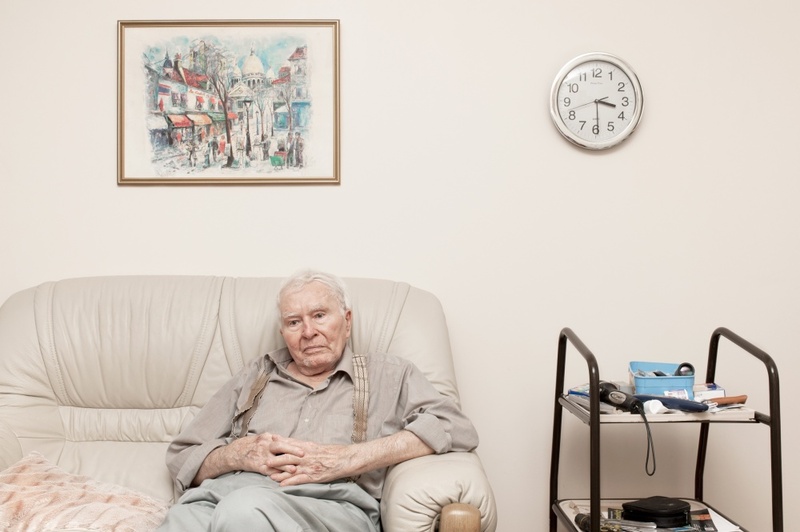 These people and their stories are also integral part of my project. My main ambition is to continue in this project in the different parts of United Kingdom to create a body of work, which would be considered not only as a photographic work of art but also as a useful sociological document for generations to come. After all, we are all descendants of migrants or migrants ourselves and histories of all countries, even the most distant are bounded together by people who were, are and will be constantly on the move around the world. New layers and new thoughts are added constantly as I am progressing but the core idea is staying the same and I am committed to carry on my work for a long period of time. I see "The Neighbours" manifesting in the form of a book and exhibition accompanied by the stories of people on the photographs.